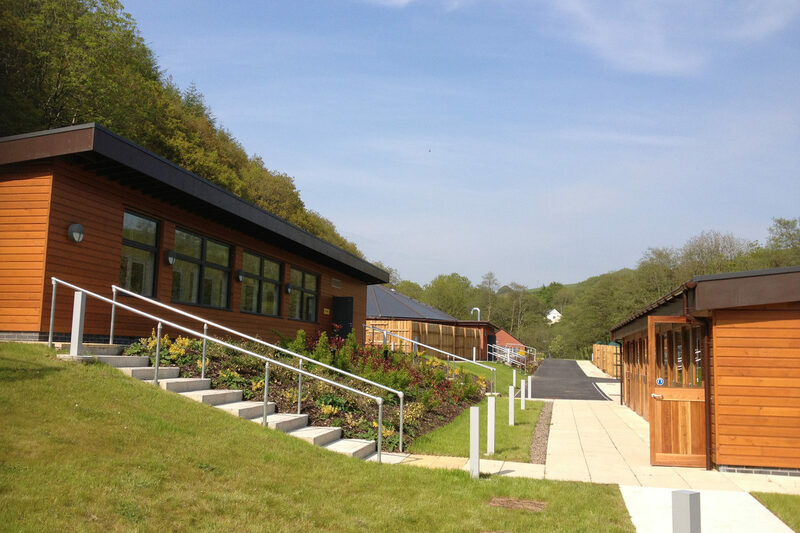 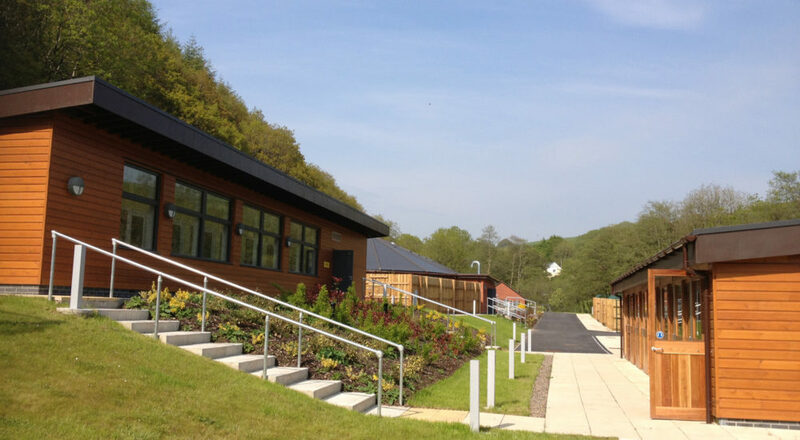 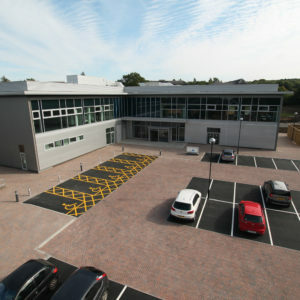 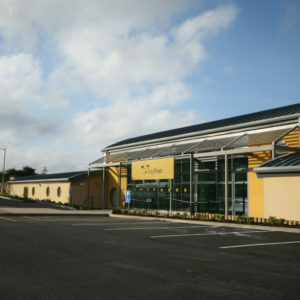 We were appointed by Dogs Trust to redevelop their existing rehoming centre at West Down, Ilfracombe, in Devon. 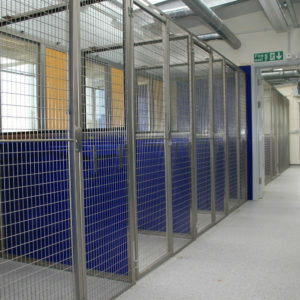 All of the kennel blocks were in a poor state of repair and in need of either replacement or refurbishment. 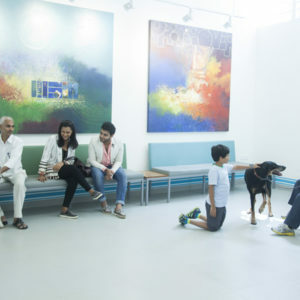 Additional external runs were also needed to improve well-being for the dogs by giving them greater access to off-the-lead exercise. 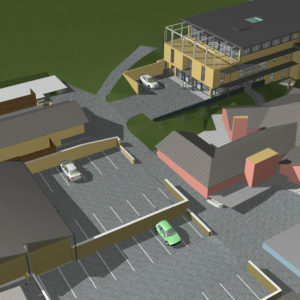 The design brief set quality kennelling provision as a priority, alongside sustainable design considerations and low energy use targets, as well as upgraded site-wide drainage systems and much reduced acoustic output from the kennel blocks – making the site more comfortable for dogs, centre staff and neighbouring sites. 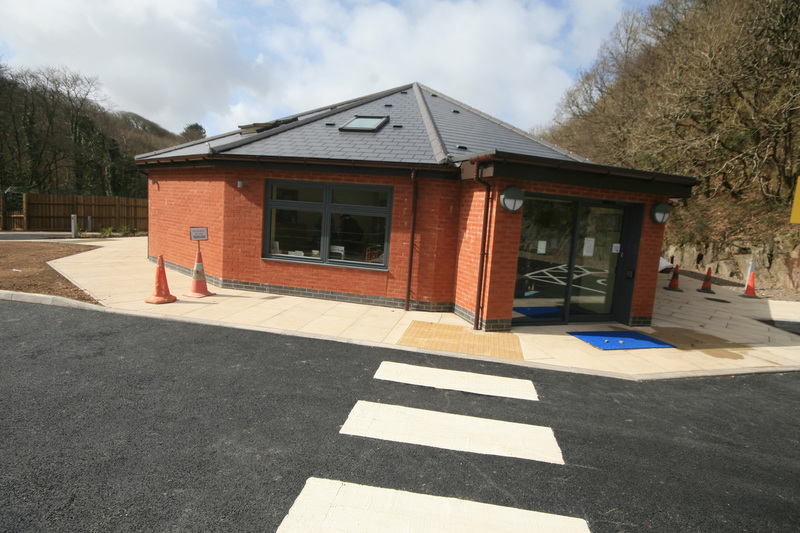 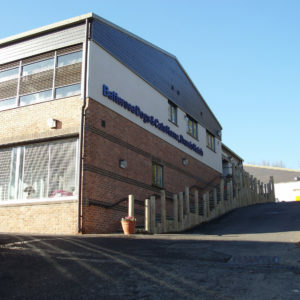 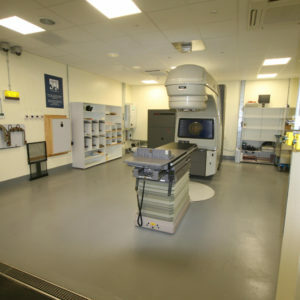 The project involved replacing the two linear kennel blocks and modifying and linking the two existing parasol blocks to form a new rehoming building. 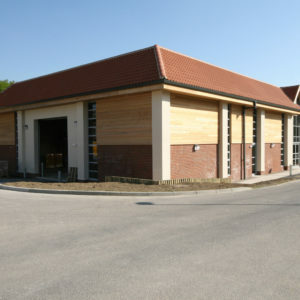 Part demolition of the existing administration / reception building was also required to afford both construction and maintenance access (including fire tenders), as well as to offer improved staff facilities. 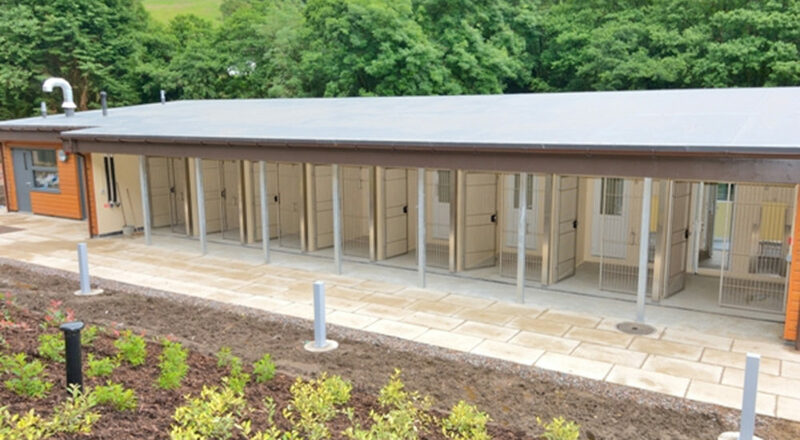 The two new linear blocks were to house nine ‘intake’ kennels and nine ‘booked’ kennels for dogs ready for their new owners. 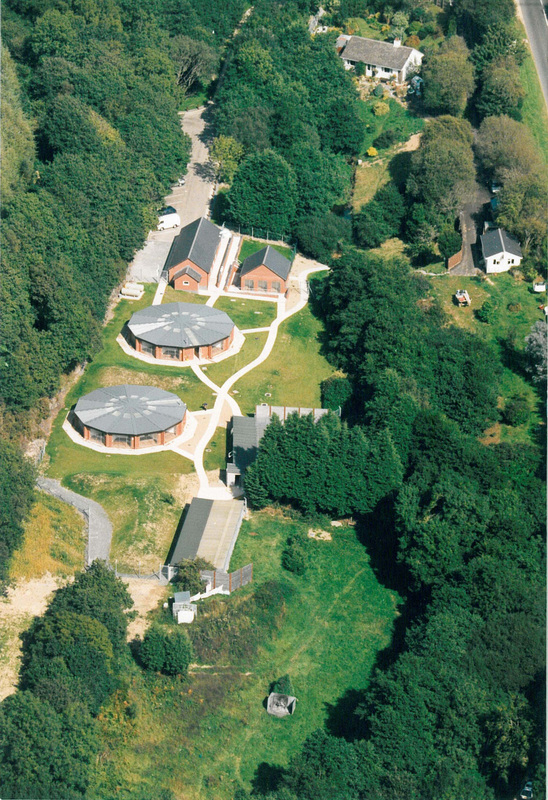 Shared between them were rooms for food prep, laundry and sluice utility areas, plus a small veterinary office. 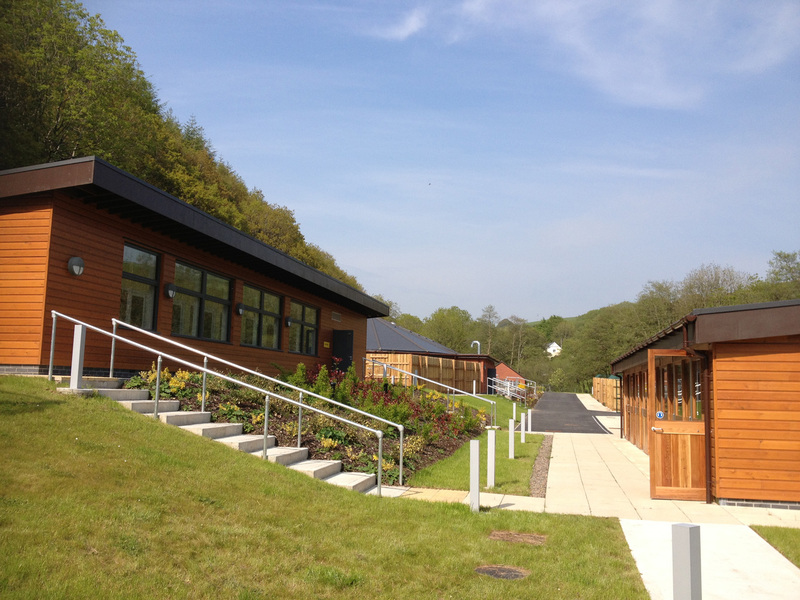 These were designed to be timber clad with triple glazed timber framed windows, shallow pitched roofs finished with a single ply membrane, and the walls and roofs super-insulated. 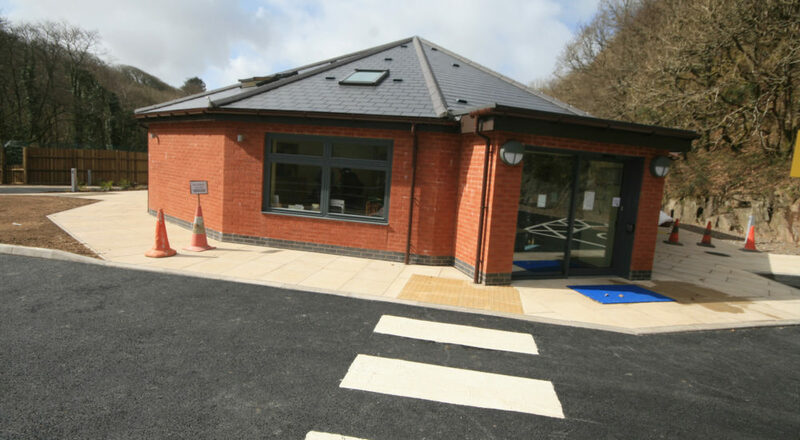 The use of solar gain, thermal mass and natural ventilation was also incorporated within this design. 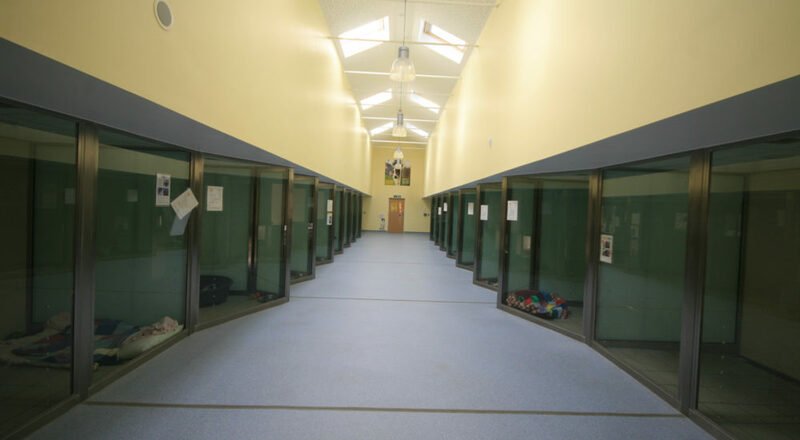 The proposed booked and intake kennel blocks rationalised the space available after demolishing the existing kennel blocks, as well as addressing topographical issues. 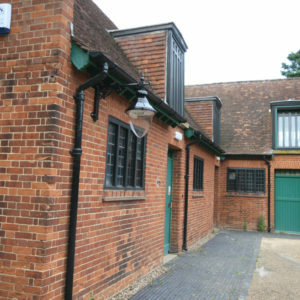 This topography was utilised to benefit noise reduction and restrict dog to dog vision, a known incitement for barking. 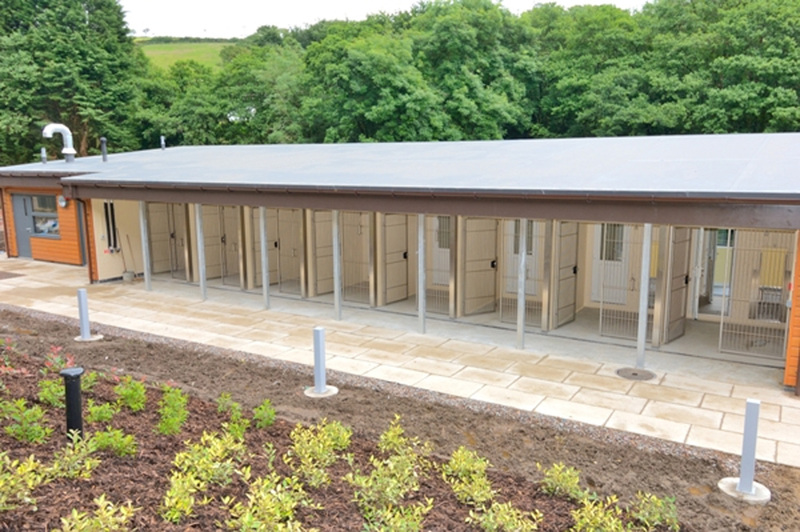 The main focus of the scheme was the conversion of the two parasol blocks to provide a unified rehoming building where visitors can spend time viewing and considering their potential new pets. 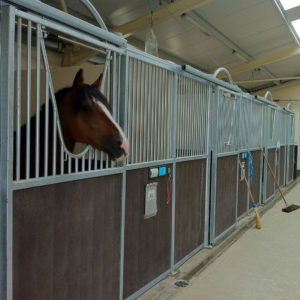 Housing the dogs behind glass considerably reduced stress and therefore barking, making it a nice quiet atmosphere. 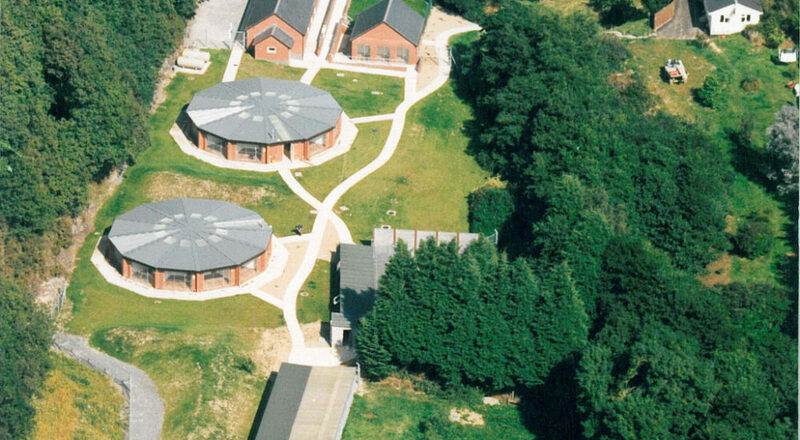 Re-use of the two parasol structures retained their embodied value and reduced material consumption and waste, while lending a distinct form to the new building with pitched roofs following their facetted footprint. 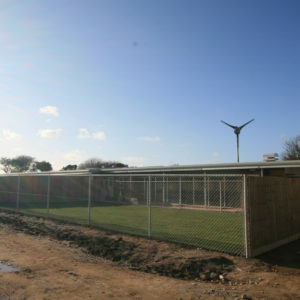 One converted half-parasol was designed to house the reception and the second parasol to retain some kennels for training and behavioural assessment, along with utility areas, via additional flat roofed extensions. 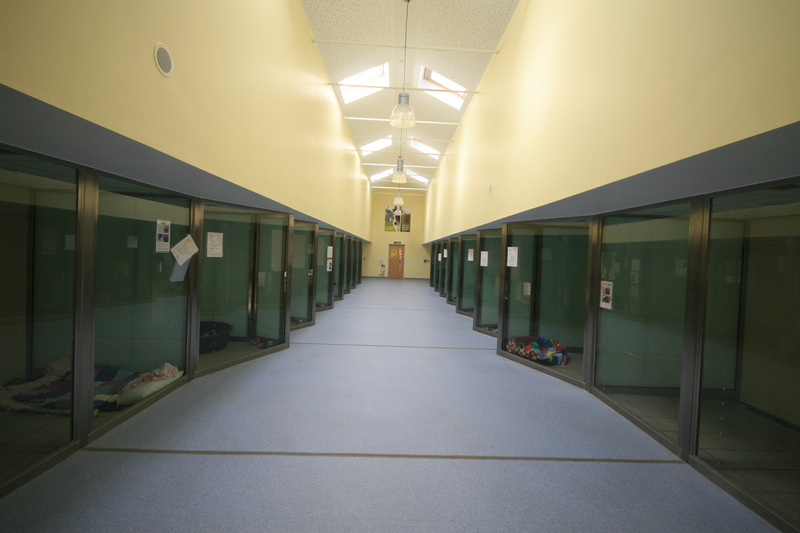 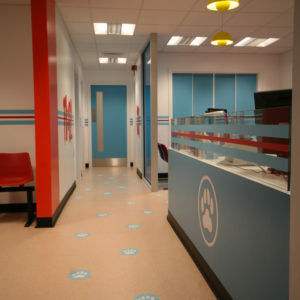 The two pre-existing structures were linked with the new rehoming kennels, featuring a top-lit central corridor. 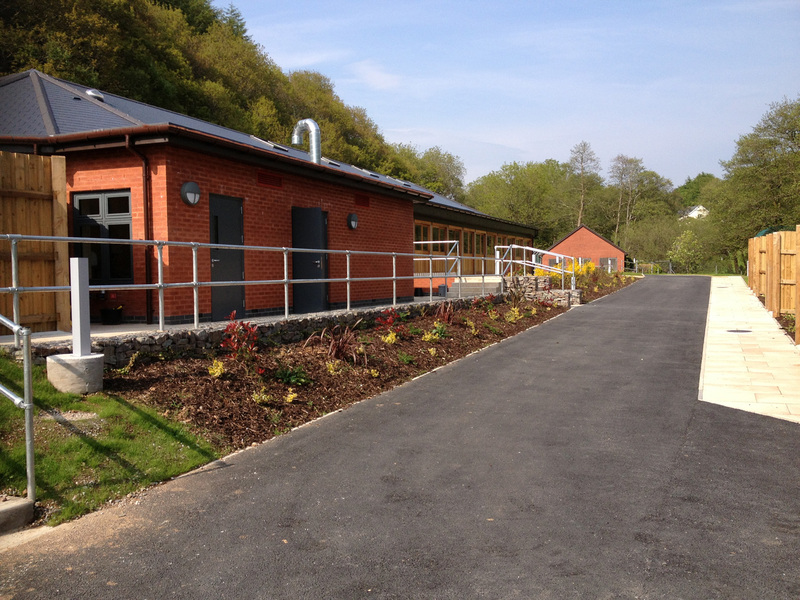 Thermal mass, super-insulation and natural cross ventilation were incorporated, with the mechanical heating and ventilation plant kept to a minimum. 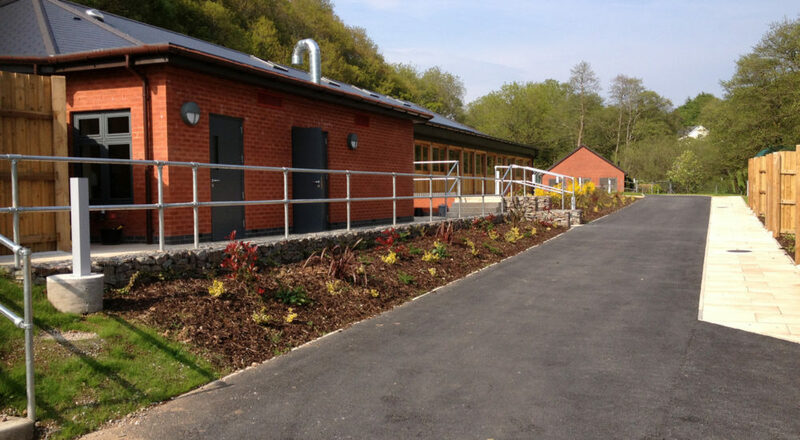 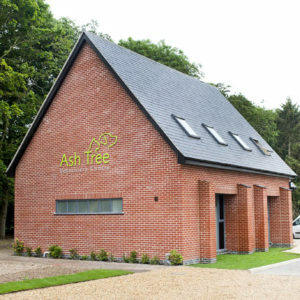 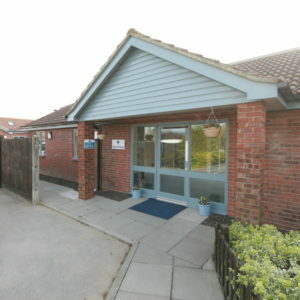 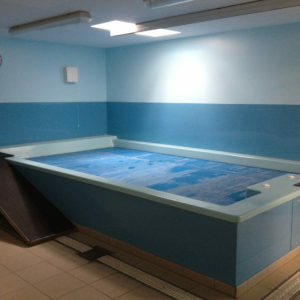 The Rehoming building offers an enhanced waiting and reception area, 22 glass fronted kennels with an office, three dedicated kennels with attached external runs, food prep, bath and groom, laundry, stores, sluice and staff WC. 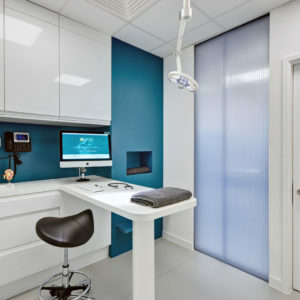 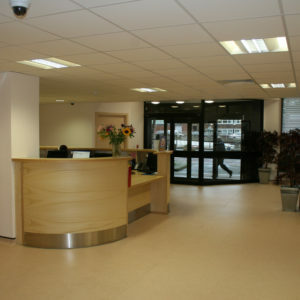 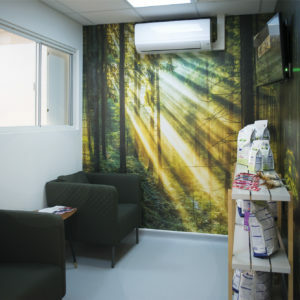 The visitor waiting area offers a small dedicated space for display and sales of care products for new owners for the primary benefit of the charity.